Land Rover is one of my all-time favorite automotive manufactures for one reason, their vehicles are built to go anywhere. They are suited for the heat of the Sahara desert, the frigid cold of Alaska, and the wetness of the Amazon Rainforest. Land Rover’s Range Rover line adds sophistication to your great adventure, without sacraficing capability. A Land Rover driving instructor once described the Range Rover line as a mountain goat wearing a tuxedo. 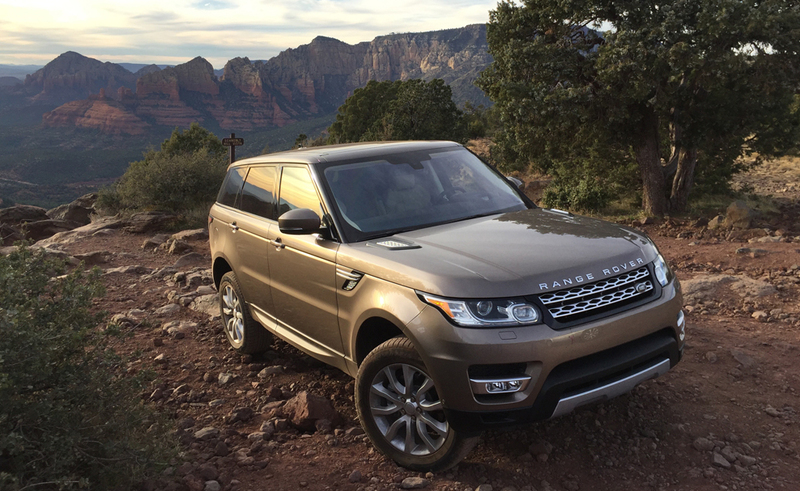 A few weeks ago, Land Rover flew me to Sedona Arizona to test Range Rover and Rover Rover Sport’s newest engine configuration, a 3.0L Td6 Turbocharged Diesel. Previous drivetrain options were limited to a Supercharged 3.0L V6 or a Supercharged 5.0L V8. This new drivetrain option packs a punch! The Td6 offers 32% greater fuel economy than Land Rover’s Supercharged V6, and almost as much torque as Land Rover’s Supercharged V8 engine. That translates into 22 mpg city, 29 mpg highway, and 440 pounds of torque (21 pounds of torque shy of the Supercharged V8). If you are reading this and saying to yourself: (1) diesel’s are noisy, diesel’s are dirty, (2) diesel fuel costs more, and (3) what about the VW diesel scandal? Then you have a lot to learn! While clean diesel technology is relativity new in the United States, European markets have been perfecting the diesel engine for decades. (1) Land Rover’s Td6 diesel engine is almost as quite as a traditional gasoline engine. Most people wouldn’t know that it is a diesel unless you are able to recognize the pitter patter sound of a diesel engine versus a gasoline engine. (2) Diesel fuel generally costs more than regular gasoline, but it is almost always cheaper than premium gasoline, which most high performance engines require. (3) VW gave diesel engines a bad rap. I have spoken with several automotive engineers who specialize in clean diesel technology, and all of them basically said the same thing: “VW took shortcuts in order to save money.” The more powerful the engine, the larger the emissions filters on diesel engines, the more they cost. So how does that translate to off-roading? You get the same off-road capabilities as the V6 and V8 Range Rover and Range Rover Sport, which is second to none. The Range Rover offers two locking differentials, nearly a foot of ground clearance, and an advanced terrain response system. The Range Rover comes standard with a twin speed transfer box (low and high gear range), but it is an extra on the Range Rover Sport. The new diesel motor drivetrain on 2016 Range Rover and Range Rover Sport turn one of the most capable and refined vehicles in the world into an SUV that will go anywhere and get great fuel economy. Contact your local Land Rover dealer or click here to visit the Land Rover website for more information on the 2016 Range Rover and Range Rover Sport. 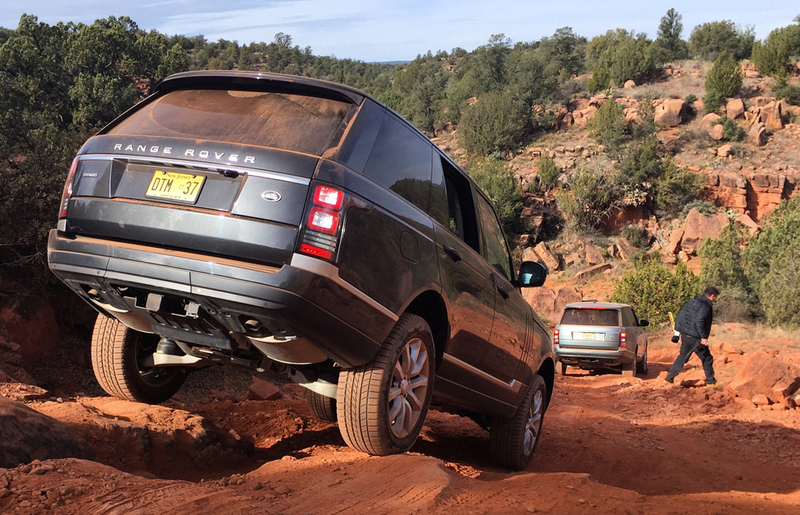 Note: I did not receive compensation for this article, but Land Rover did pay for my trip to Sedona. 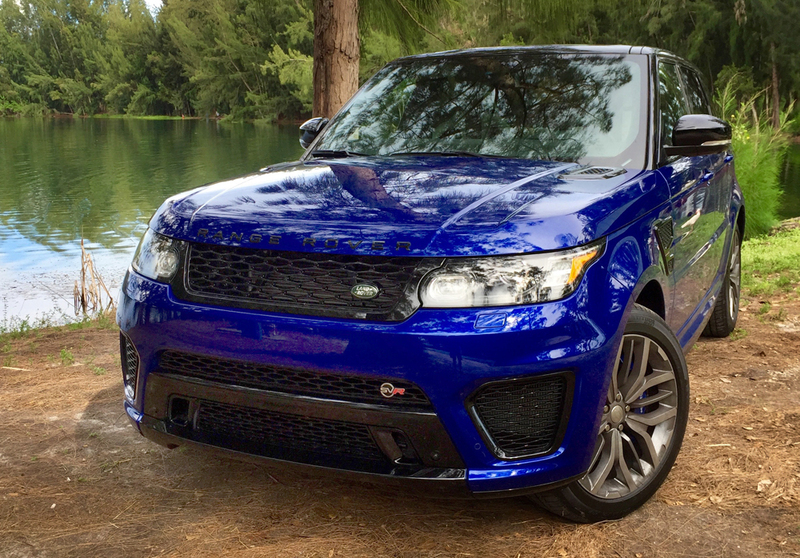 The Range Rover SVR is the super car of SUVs. Few vehicles can hold the title of super car; an ultra high performance car that is exclusive and often times barely street legal. 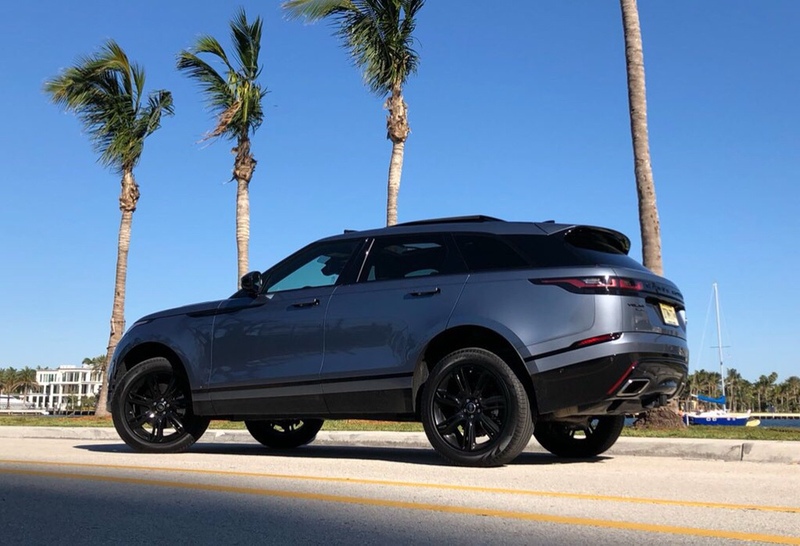 If there was such a title, The Land Rover Range Rover SVR would deserve the title of “Super SUV.” The Range Rover SVR’s impressive performance stems from its massive 5.0L supercharged V8 engine that produces 550 horsepower and 502 ib-ft of torque. From there, the performance enhancements extend to the wheels with 20″ Brembo brakes and 21″ alloy wheels. It also features a super quick 8-speed automatic transmission, that shifts almost as fast as a dual-clutch transmission. Now can you guess the top speed of this “Super SUV?” Try 162 mph! The Land Rover Range Rover SVR even sounds like a super car! The engine roars when you step on the gas pedal. The exhaust note reminds me of the Jaguar F-Type, which in my opinion sounds better than a Ferrari 488 GTB. Of course, a Land Rover wouldn’t be a Land Rover without its off-road prowess. 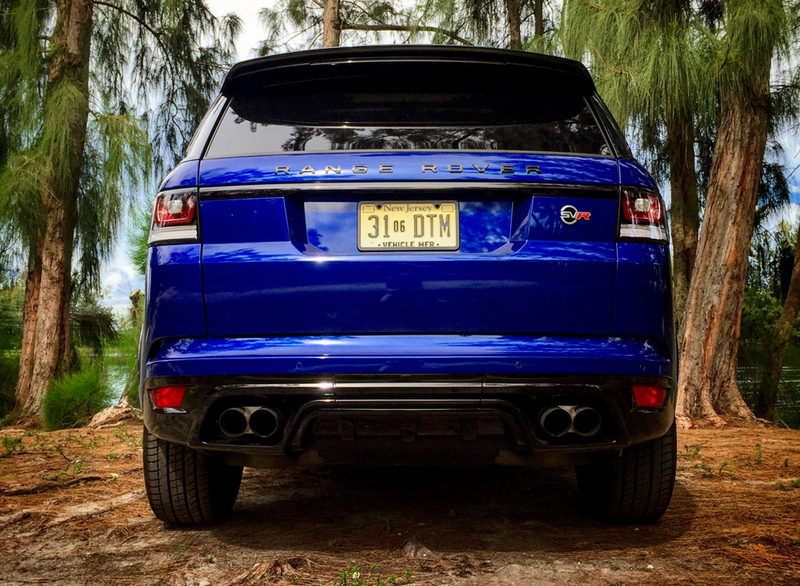 The Range Rover SVR is fully equipped to take on extreme off-road conditions: Mud, Rocky Terrain, Ice, and Water. The vehicle offers two locking differentials, a low and high gear box, as well as, independent suspension for all four wheels and adjustable ride height. It is one of the most capable SUV’s on the market – arguably second to only the full size Range Rover. Rarely, can a tall, off-road equipped vehicle out perform the average sports car. 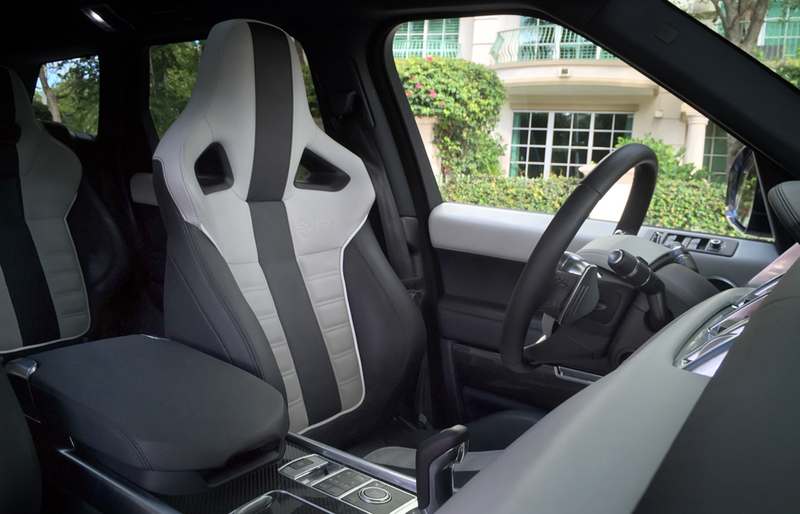 The usual luxury features are available with Range Rover SVR: A full leather dash and doors, a large touch screen infotainment display, a panoramic sunroof, and a mini-fridge underneath the center console armrest. 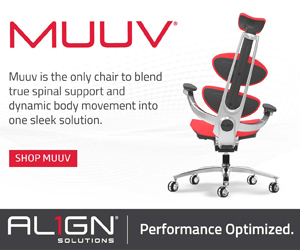 The only thing missing was the ventilated seats – sadly those are not available with competition seats. All in all, the Range Rover SVR is a truly amazing vehicle. It has got style, off-road capability, and performance. It certainly gives the Porsche Cayenne Turbo and the Mercedes G63 AMG a run for the hills. Contact your local Land Rover dealer for more information on the 2015 Range Rover SVR or click here to visit the Land Rover website. I recently took a 2,000+ mile road trip in my Porsche (You may have seen the photos on Twitter). From Ft Lauderdale to the Smokie Mountains, to the Biltmore Esate in Asheville, to Charleston, I enjoyed top down driving and scenic roads. The highlight of my adventure was visiting the Biltmore Estate. It is famous for being the largest home in the USA, but what most peole don’t know is that it is also the proving grounds for Land Rover’s world renowned off-road academy. If you are an off-road enthusiast – by any means – then the Land Rover Experience Driving School should be on your bucket list. When I arived, I expected to meet a Land Rover representative who was going to try to sell me on why the new Range Rover is the “best off-road vehicle ever created.” Instead, I was introduced to a thrill seeking off-road proffessional intstructor. His terrain expereince included everything from rock deserts to arttic mountain climbs. The school doesn’t teach out to drive a Land Rover with sophisticated technology; it teaches you how to properly drive an off-road vehicle. 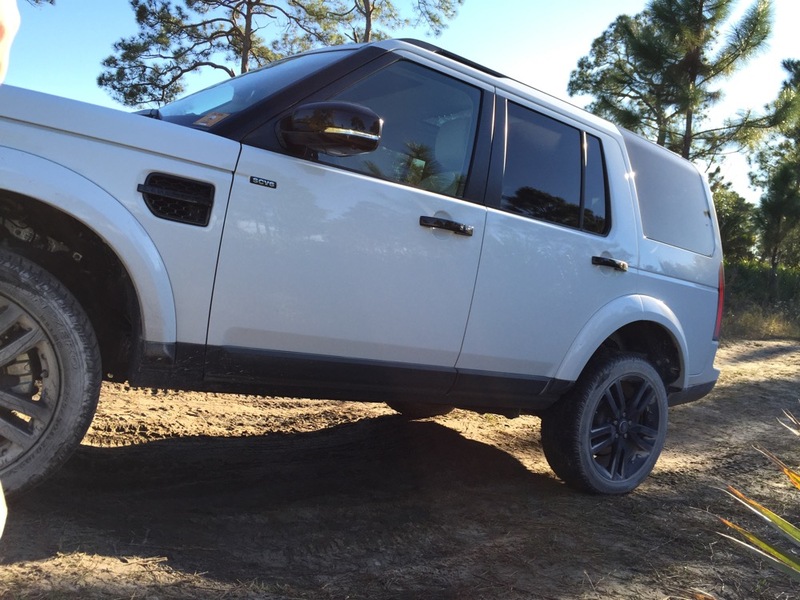 The first thing my instructor did was to take me to an open field and show me the capability lines on the 2015 Range Rover – how steep of a hill can it climb or go over without bottoming out. 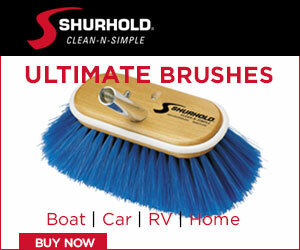 By understanding the capability lines of our vehicle, you can determin the best route to take. Next we discussed how to properly steer the vehcile while off-roading. Normal steering positions are thrown out the window, because you never want to cross your arms. If the airbag goes off and your arms are crossed while making a sharp turn, then your hand will hit you in the face. Instead, you want to constantly reposition your hands towards the bottom of the steering wheel. We went on to discuss power managment and hill decent (without hill decent control active). These basis techniques should be applied no matter what type of vehicle you are driving, whether it be a $24,000 Jeep Wrangler or $150,000 Range Rover Autobiography. After a couple hours with all of the technology off, my instructor taught me how to drive with the technoogy on. “Technology doesn’t replace technique,” said my instructor. He was right. The techniques I learned with the technology off made me a better off-road driver. I know how to better control my vehicle over difficult terain, how to navigate a tight trail without scratching my vehicle, and how to judge my vehicles limmitations without testing them. 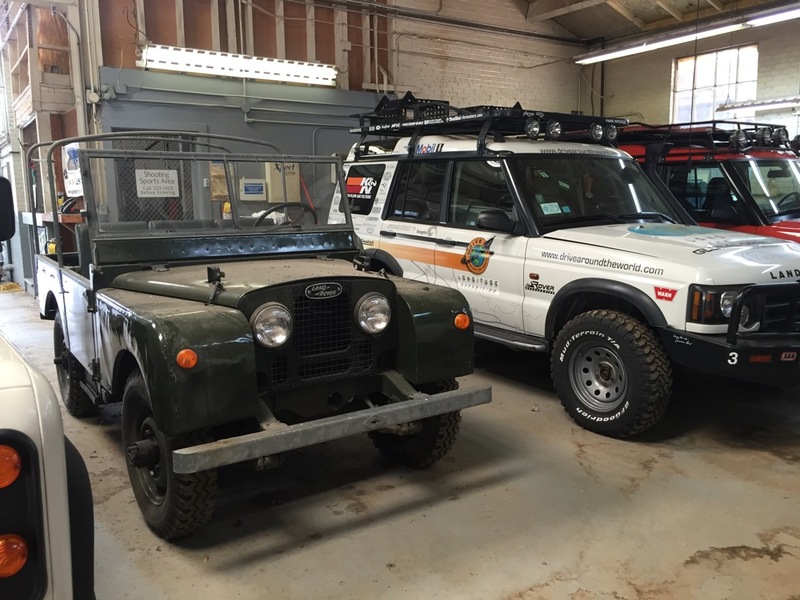 Following an afternoon of intense training, my driving instructor gave me a graduation gift… A private tour of the US Land Rover Heritage Collection! While it may look like a garage full of old Land Rovers, this collection is unique. It contains one the first Land Rovers ever built, as well as, two Land Rovers that drove arround the world. All of the Land Rovers in the collection are in working order and (somewhat) regularly hit the trails, when they are not on display. Visit the Land Rover Expereince Driving School website for more information or ask me a question about it on Twitter. Does The Land Rover LR4 Holds True To Its Roots? The Land Rover brand has served as the crown jewel for off-road enthusiasts since 1948. 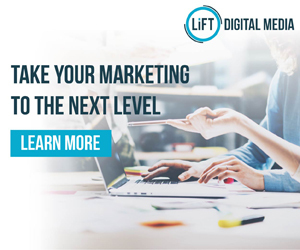 But, over the past couple of decades, their vehicles have transitioned from a rugged barebones 4X4s into a luxury SUVs with premium leather seats and TV screens throughout the cabin. How do the new Land Rovers compare to their historic counterparts? Are the new Land Rovers more than just a grocery carrier for uper middle class soccer moms? 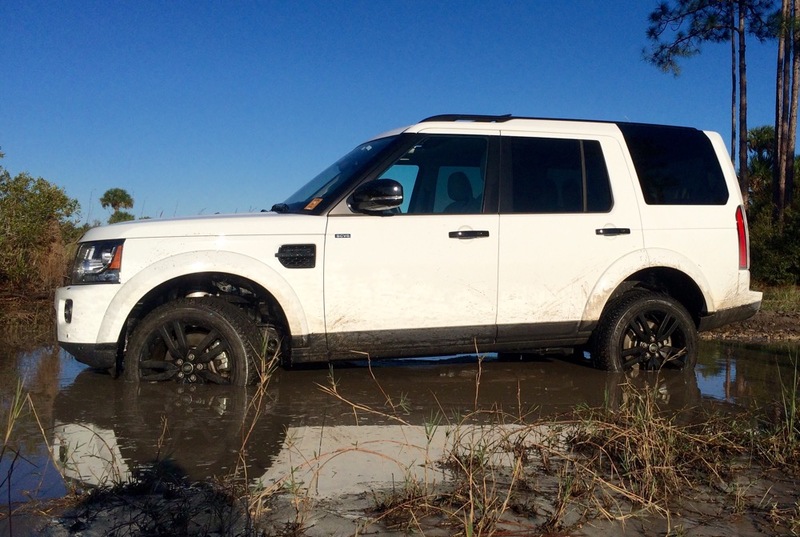 I set out to push the limits of the Land Rover LR4 in this review. I wanted to see if this beautifully crafted English made SUV lived up to it’s 4X4 heritage. Its proving grounds are Big Cypress Nation Park, located in the Florida Everglades. 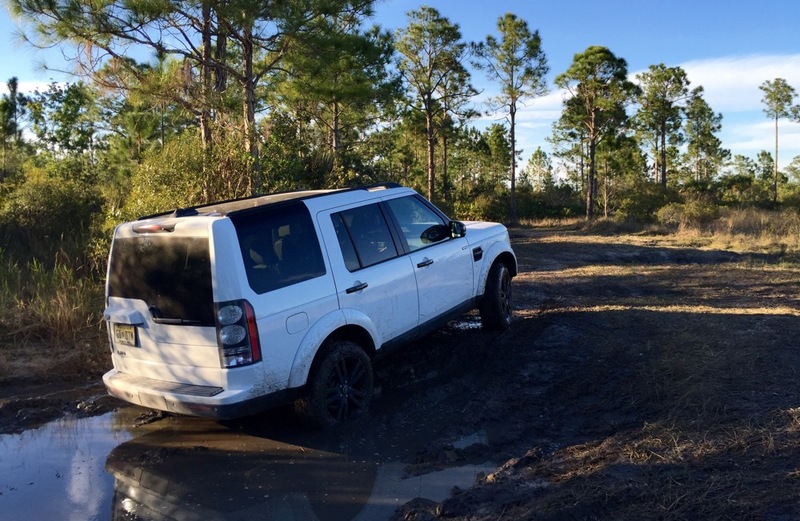 I went there to test the Land Rover LR4 on three key elements: 1) Traction control 2) Ground clearance 3) Fun. Big Cypress National Park has over 22 miles of off-road trails. 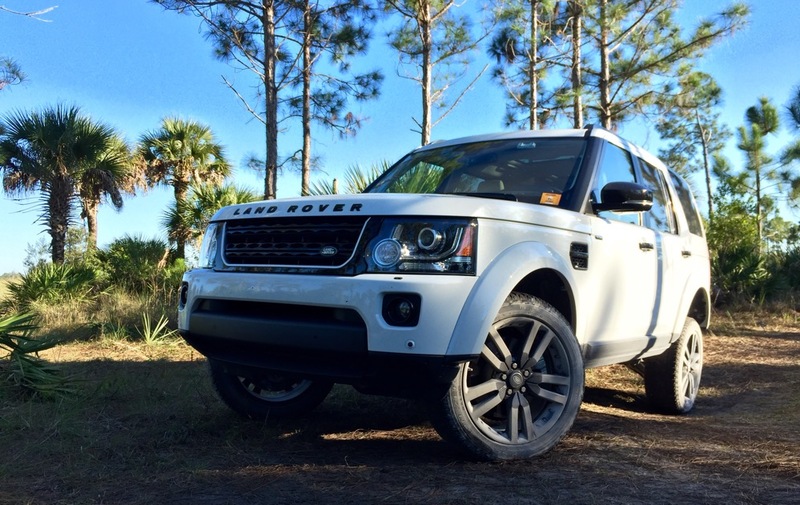 The venue hosts a variety of terrains, so it was the perfect spot to host the Land Rover LR4. 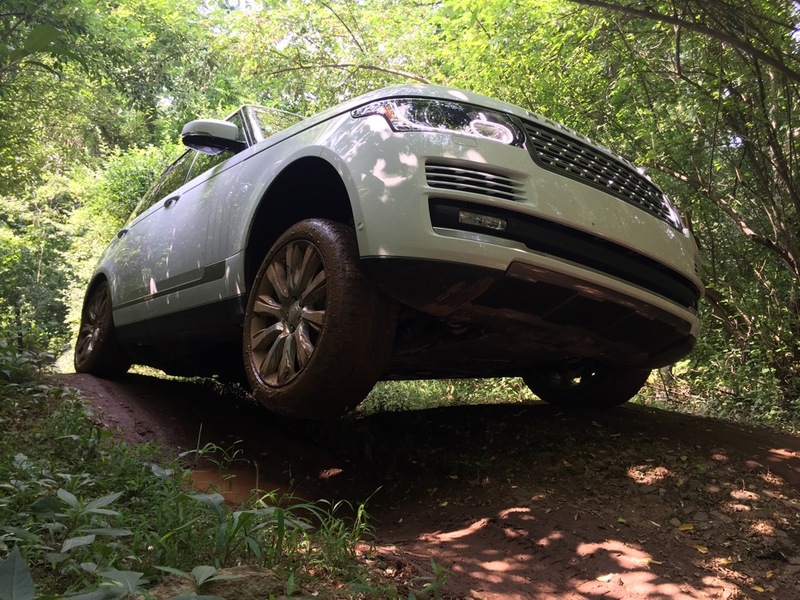 The vehicle I tested offer large wheels with low profile Pirelli tires – so it is not the ideal tire for off-roading – but thanks to the Land Rovers active terrain response system, I felt in control the entire time. 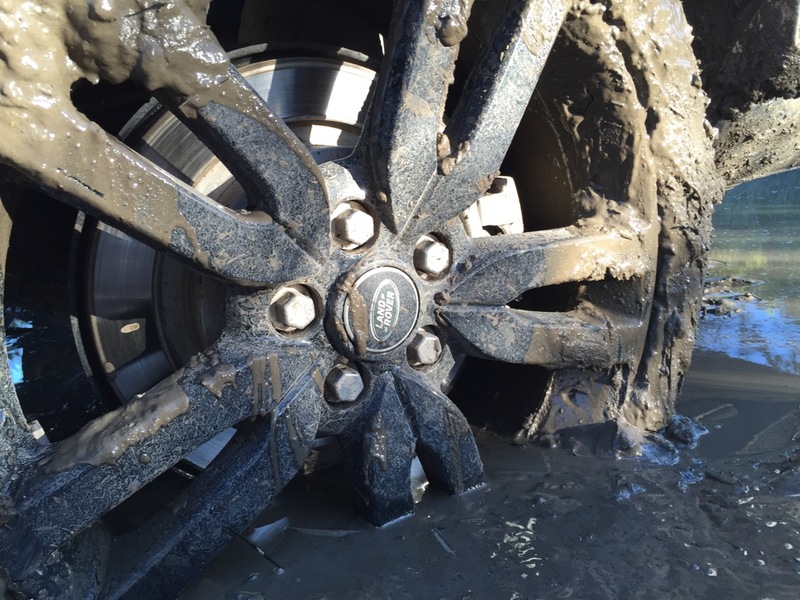 When driving through mud, the Land Rover L4R locked all four wheels and kept the 8-speed automatic transmission in a low gear. When navigating through ruts or rocky terain, the Land Rover LR4 was able to conquer the toughest obstacles thanks to its low gear set and its 360hp supercharged V6 engine. One of the most important features of any off-road vehicle is ground clearance. The Land Rover LR4’s adjustable air suspension allows you raise the height of the LR4 to over 10inches. The height increase comes in handy when conquering large objects, deep ruts or when you have to cross a shallow creek. 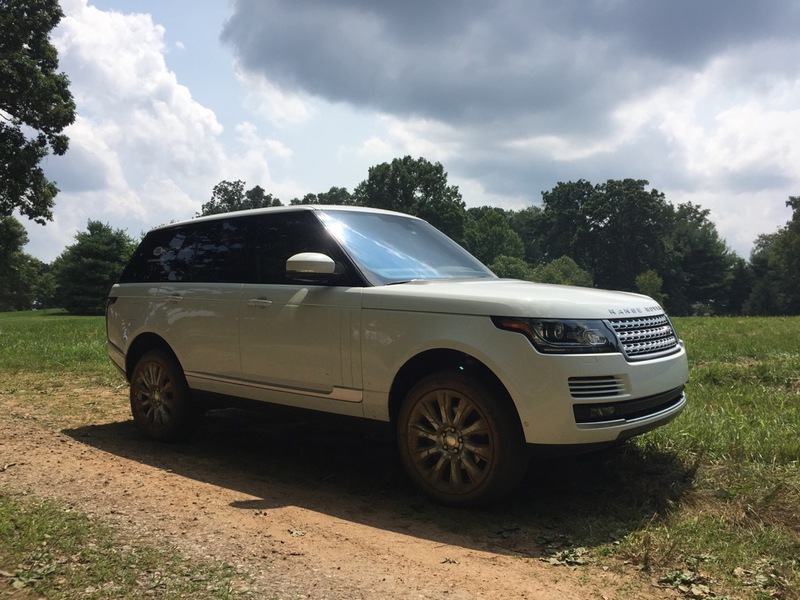 Driving the Land Rover LR4 for a week gave me a new sense of freedom – The feeling reminds me of when I turned 16 and my Dad loaned me the keys to his Audi A6 station wagon – I could go anywhere! It is important to remember that wherever the path takes you, you will get there in style… You are driving a modern day Land Rover after all. 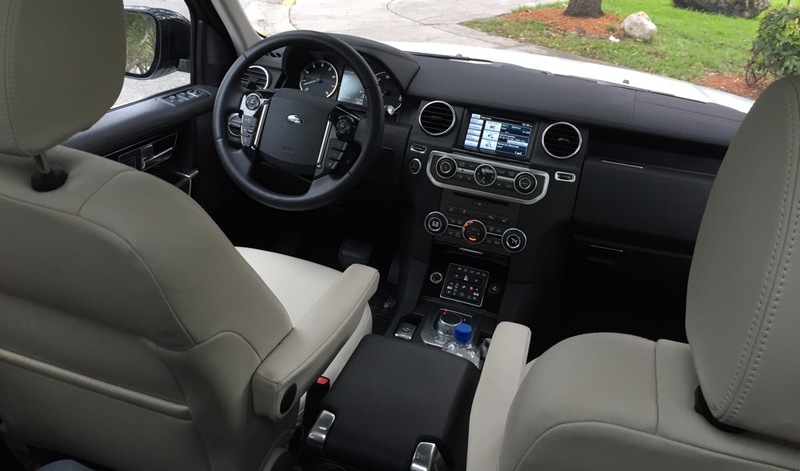 The Land Rover LR4 I was driving was equiped with premium leather seats, a Mark Levinson sound system and a five camera system provides a near 360-degree view of your surroundings. A standard third row of seats means that you and six friends can enjoy the adventure together in style. 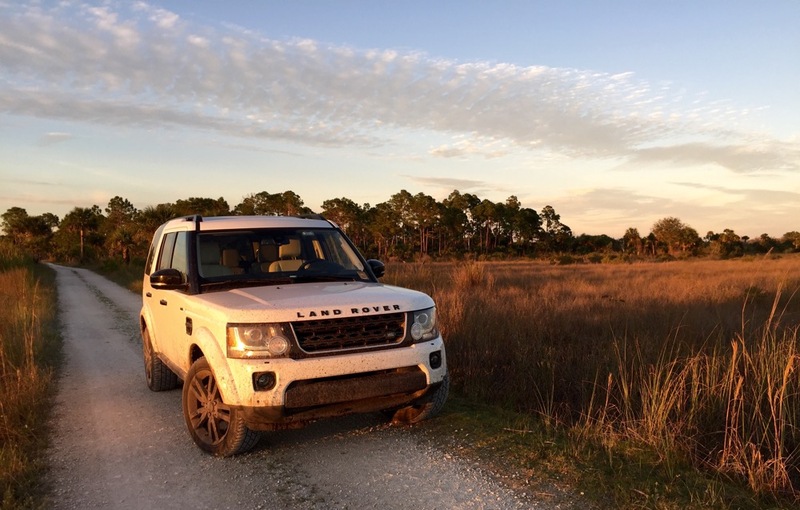 So to answer your question… Yes, the Land Rover LR4 holds true to its roots. Contact your local Land Rover dealer for more information on the LR4 or click here to visit the Land Rover website.